Regenerate 2. 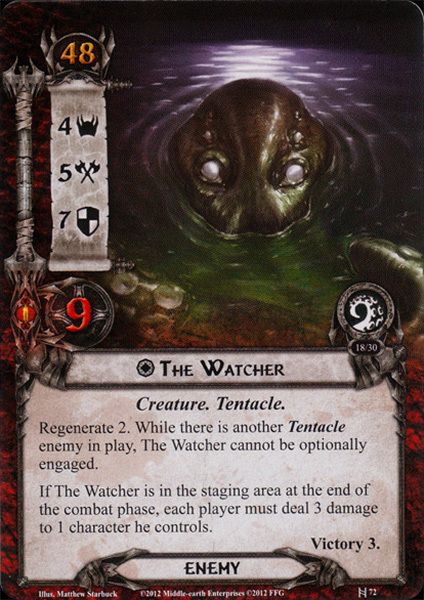 While there is another Tentacle enemy in play, The Watcher cannot be optionally engaged. If The Watcher is in the staging area at the end of the combat phase, each player must deal 3 damage to 1 character he controls.